For Kooweerup local Jack Marshall, road cycling has quickly become his passion and there’s no doubting his talents in the sport. The 18-year-old only began riding just over two years ago, but he has already displayed a great work ethic, love for the sport and talent. So much so that late last year he received the prestigious Mornington Cycling Club (MCC) Joel Hawkins Memorial Scholarship. The scholarship, which is awarded by the club in conjunction with the White Bike Foundation, will provide Marshall with a full platform of support for 2019, including coaching, race licence and race entry fees, club kit, as well as massage and sports therapy treatment and development opportunities. 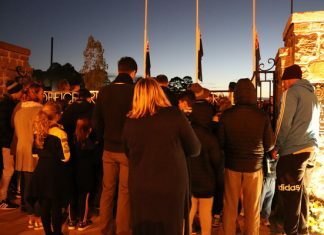 The scholarship means much more than just those benefits for Marshall though, it’s about honouring Joel Hawkins, who was tragically killed while riding on the Nepean Highway in June 2015. Hawkins, who was an MCC member, was just 17 years old at the time and his coach Chris Savage founded the White Bike Foundation to educate and protect road-sharers, believing that everybody has the right to use the road safely and complete their journey. Savage spoke of Marshall’s talent and respect. “We are delighted Jack will carry Joel’s name – and The White Bike Foundation road safety message – on his journey with the scholarship in 2019,” he said. Marshall became involved in riding after competing in HPV (human powered vehicle) events at Kooweerup Secondary College. “I did what’s called HPV, which is recumbent bike racing, at school and then a lot of my mates, who were also from the club, did road cycling.” Marshall said. 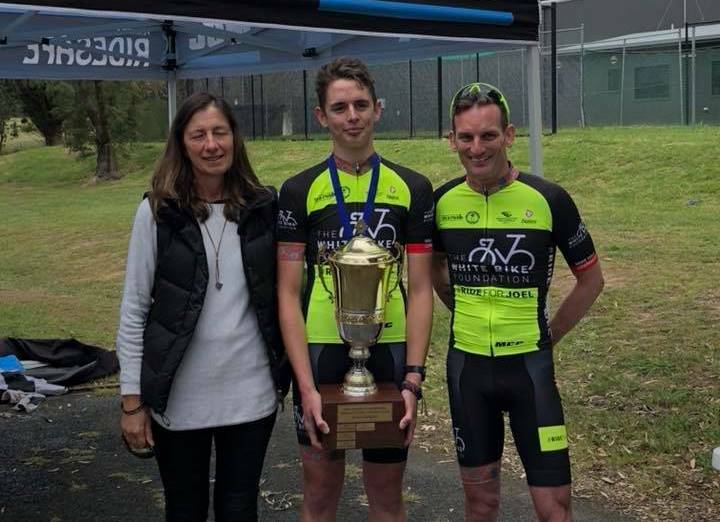 On the day Marshall was awarded the Joel Hawkins Memorial Scholarship, he also took out the MCC Under 19 club championship – a race that tested his sprinting ability as well as his endurance. “It was a 45km race around the back of Arthurs Seat and it ended up being a sprint between me and one other racer,” Marshall said. “The final 2kms are up-hill slightly and we were just sort of attacking one another and then with about 50 metres to go I got around him and won the sprint. The win gave him plenty of confidence, knowing that he can compete against great sprinters. Despite having already achieved great wins and great improvement in his cycling, Marshall isn’t satisfied and looks forward to utilising all that the scholarship offers him.